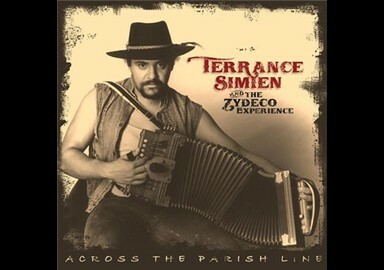 Share Terrance Simien & The Zydeco Experience's EPK! Terrance Simien & The Zydeco Experience @ Visit Pollstar.com for tour dates: Festivals, Art Centers, Schools, US Embassies, Theatres! In "You Should Know Your Way By Now" this Louisiana firebrand explains his music's complex, pan-cultural roots, sprung from the African, French, Portuguese, and Caribbean settlers of his homeland. 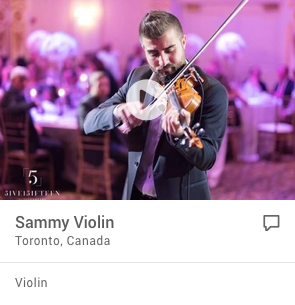 Likewise, this album reflects many of the silk-voiced singer-accordionist's own musical interests, influences, and associations. These 15 tunes embrace the stark traditionalism of "You Used to Call Me"--a primal 21-year-old performance with Paul Simon lending guest vocals to its delightfully creaky rub board, squeezebox, bass and drums arrangement--as well as the balladic majesty of Simien's duet with Marcia Ball on Willie Nelson's "You Were Always on My Mind" and the spunky world-music turntablist bent of the mix track "Ta Pa Gonne Avec Ça." All that plus collaborations with Los Lobos's David Hidalgo and the Band's Rick Danko and Garth Hudson cements Simien's standing as the most creative, diverse musician in modern zydeco. Perhaps Terrance Simien’s most adventuresome sonic statement yet, Across The Parish Line is an examination of a 25-year career as an internationally recognized zydeco front man. In a literal sense, the aptly chosen title refers to Simien’s early days when geographical boundaries were increasingly crossed as his audience base expanded. At the same time, the daring St. Landry Parish native hurdled over musical boundaries as well by incorporating reggae, funk, rock and soulful ballads into his culturally ingrained zydeco—long before such genre-bending fusions became fashionable. Such craftiness garnered thumbs up from many a high-profile artist outside the zydeco kingdom, a short list including Marcia Ball and Los Lobos’ David Hidalgo, who guest here on vocals on a couple of recently recorded tracks. “Twilight,” one of Simien’s favorite songs from the Band, was recorded with Band members Garth Hudson and the late Rick Danko in 1999, the same year of the bassist’s untimely death. “You Used To Call Me,” a track from the then 19-year-old accordionist’s debut single, resurfaces here with Paul Simon’s multi-part, multi-tracked harmonies. The guests’ participation speaks volumes about Simien’s art, which explores his complex Creole heritage. The tuneful, Bob Marley-inspired “You Should Know Your Way By Now” answers the oft-asked question of what exactly is a Creole, with Simien singing, “Our people have been here for over 300 years, French, African, Spanish and Native-American / all colors in one.” From there, the roots of the Creole nation are tied in with several Caribbean-flavored selections anchored by keyboardist Danny Williams’ simulated steel pan drum sounds. The Latin part of the Creole equation is recognized with “Cómo Vivré, Mi Cholita,” in which Simien and Hidalgo croon in Spanish on Cuban protest singer Pedro Luis Ferrer’s saucy composition. While life is certainly celebrated on Across the Parish Lines, Simien also honors the victims of 2005’s hurricane devastation with a pair of apropos songs. Granted, “Louisiana 1927” was practically omnipresent on the airwaves last year with groups everywhere dusting off the Randy Newman classic. Now, a year later, Simien’s gripping rendition has to be one of the best yet. Simien’s gut-wrenching vocals and chilling vibrato make the oft-repeated line, “They’re trying to wash us away” nightmarishly real. Although Bob Dylan’s “Mississippi” wasn’t written with a natural catastrophe in mind, everything fits a day in the life of a nomadic evacuee attempting to reassemble a disheveled life. Zydeco remains at the core of Simien’s musical DNA, but his treatment of it continues to be progressive and innovative. On “Ta Pa Gonne Avec Ca,” Simien whips things into a hypnotic, mantra-chanting frenzy before exploding into the song’s riff. The opening and closing tracks hint at where zydeco’s headed next: an ancient-sounding accordion surrounded by an avalanche of hip-hop beats, Jamaican dub echo, African vocals, and looping and sampling that would be at home in a Parisian discotheque. With this crowning achievement in hand, Simien’s reign of creativity is far from over. Born in 1965 into the hippie folk and soul music era, Simien grew artistically being influenced by all of the great music that has defined our country’s musical legacy, including music from that era. 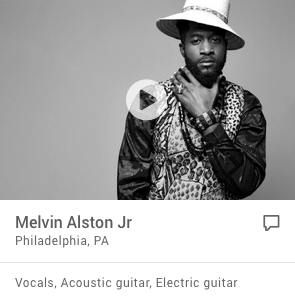 He was as influenced by Dylan and Simon and Garfunkel as he was by Marvin Gaye, Sam Cooke and the Meters. Of course hailing from one of the first Creole families documented to have settled St. Landry Parish he was deeply affected by the great Zydeco music pioneers like Chenier, Delafose, Chavis, Ardoin and Fontenot to name a few. He counts himself one of the fortunate, as he is the last generation with a direct link to these pioneers, some of whom mentored him as an emerging artist. In turn he has assumed that same role to a new generation of young Zydeco talents. Simien understands how critical mentoring is to the survival of this indigenous music that has become synonymous with the cultural identity of Louisiana as well as the critical contributions it has made to the musical landscape of this country. At the young age of 18 Simien began touring professionally full time and by 20 he was sharing the stage with Fats Domino and Sarah Vaughn at the Bern Jazz Festival. It just exploded from there and Terrance remains a pivotal part of Zydeco music history because when he began his career in the early 1980's there were only 2 emerging bands touring nationally. It was quite simply the young Terrance and the Sam Brothers who were perpetuating the traditional indigenous zydeco roots music of their musical forefathers. He became a critical part of the "renaissance" of a music genre that was in jeopardy of dying off. Clifton Chenier had passed away in 1987 and by the end of the 1990’s all of the Zydeco pioneers had also died, leaving Terrance as one of the most experienced, talented and knowledgeable to carry the Zydeco music torch. Simien is blessed with an extraordinary talent that expresses the deepest human emotions through the original instrument: The Voice. 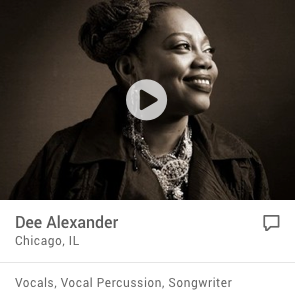 His eclectic fusion of Zydeco takes you on a multicultural musical tour of the world. Incorporating diverse music styles he creates a hypnotic blend of Zydeco-roots- New Orleans funk-reggae flavored- Afro-Caribbean-world music that will force you out of your seat and onto the dance floor. He has found a way to express himself as a relevant and evolving artist who remains reverent to his roots and musical legacy. His live performances have garnered him a level of international success and his fully engaged audiences around the globe have become more Zydeco Experienced than ever before! During the past 25 years Simien has shared studio and stage with Robert Palmer, Stevie Wonder, Los Lobos, Taj Mahal, Dr. John, the Meters, Alan Toussaint, Paul Simon and Dave Matthews Band to name a few. He has been featured in dozens of films, including the blockbuster hit “The Big Easy”, TV movies and commercials. His music has been heard on public radio and featured on FM syndicated radio shows that have been heard by millions worldwide. His recordings have been praised by Rolling Stone, Billboard, other notable music industry publications and major daily newspapers. In 2005 he became the first Zydeco artist to perform in Cuba for the US State Department. 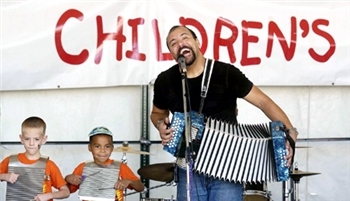 In 2006, Carnegie Hall sent him and his band to Mali, West Africa to present “Creole for Kidz & The History of Zydeco” as part of a unique distance learning program entitled Global Encounters. 2007 offered another global opportunity and a rare Creole cultural exchange and tour with the US State Department to Mauritius, Rodrigues and Seychelles where he connected his own Creole culture with the indigenous Creole/Kreol population of these countries. He and his band were the first American artists to perform in Rodrigues, a country of 40,000 people with a Creole culture still in tact. 1-90, 1-75, 1-60, 2-60's or 2-75's. Set list varies. 70% original. Covers are New Orleans standards, roots, world music, funk and reggae, The Band, Dylan, Bob Marley, Taj Mahal, etc. Title, Creole French translates "I'm not going with that" other lyrics in French mean "Every day is not the same thing". and a phrase he used in a TV commercial for Louisiana Tourism.